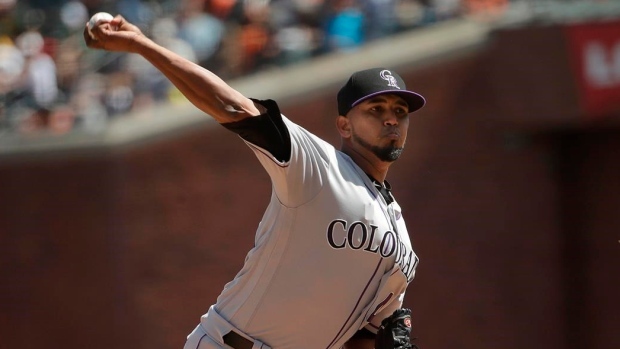 SAN FRANCISCO — German Marquez almost did more than merely end Colorado's losing streak. He came close to putting himself in the record book. Prior to Longoria's hit, Colorado centre fielder Ian Desmond made a diving catch and right fielder Charlie Blackmon had a sliding grab to preserve the no-hit try.